With its cutting-edge design and 100 oz. 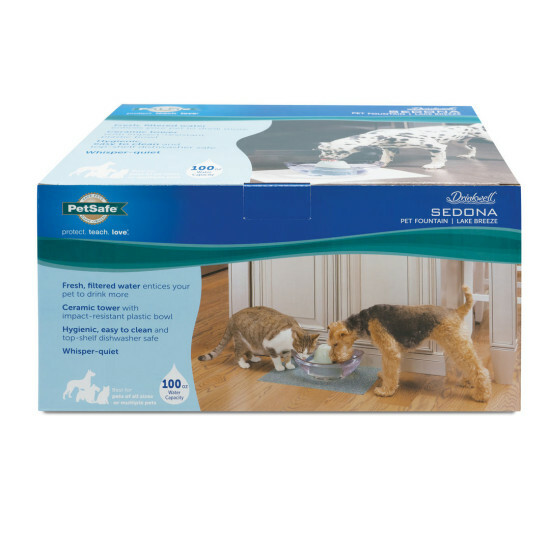 water capacity, the Drinkwell Sedona Pet Fountain is ideal for large or multiple pets. 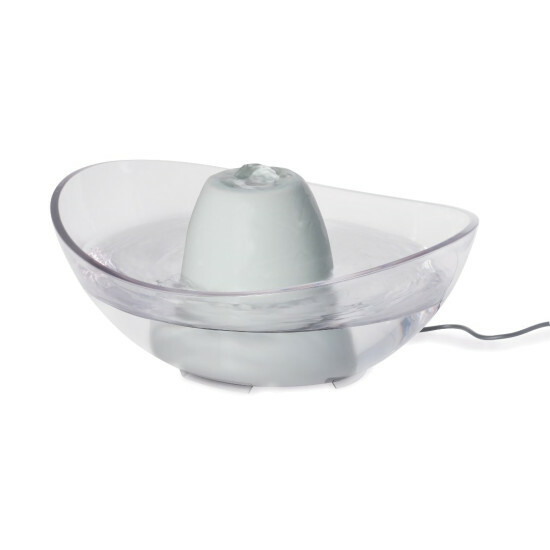 The clear bowl design not only minimizes spills and splashes but also provides a large drinking area for pets with large or flat faces. The sound of the falling water is whisper-quiet, making it easily approachable by apprehensive pets. It provides dual filtration including an activated carbon filter that removes bad tastes and odors, while a foam filter captures hair and debris. 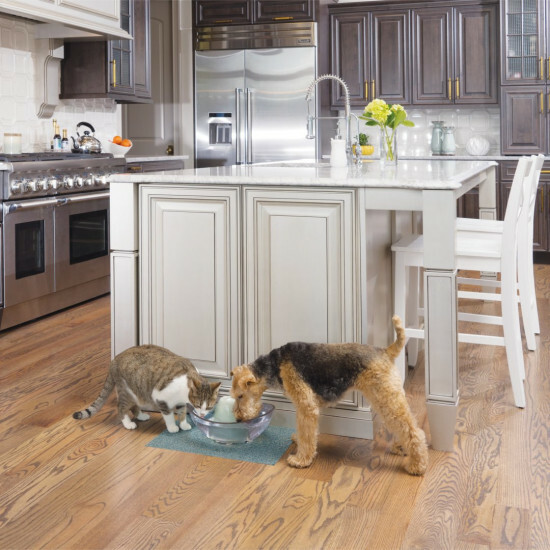 The Sedona Pet Fountain will “clearly” keep your pets healthy and hydrated while adding an elegant touch to your home decor.